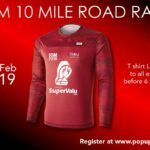 Trim AC club race, sponsored by Nally’s Supervalu, Trim. Race will start in same location as last year, Athboy Road entrance to Oaktree Business Park This race continues to go from strength to strength and has become a favourite race fixture for runners of all abilities. Pacers on the day. Refreshments after race. Chip timing. Long sleeved technical t-shirt for all registered before January 6th 2019. All race packs have now been posted. Please contact us by Thursday if yours has not arrived. The countdown is on! 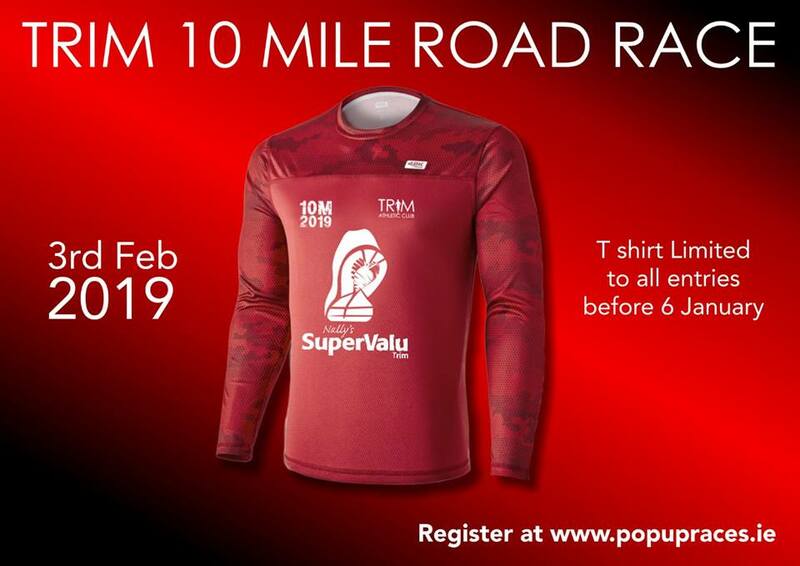 Number and shirt collection will be available on Saturday 2nd in Spun Cycles & Spun Run, Trim between 12pm and 4pm, and before the race on Sunday from 9.30am at race HQ. Please allow enough time if collecting on the day. There will be discounts on all energy gels and on runners on the day in store. The Race is now officially sold out. There will be no additional spots being made available by the organisers, Trim AC. For any additional queries please use the "contact organisers" tab. Pop Up Races have received a number of requests from race participants who cannot attend the race to transfer their number to other individuals. At this stage bibs have been personalised and we've already begun to issue race packs. If you wish to transfer your entry to another participant, this is possible. However, the name on the bib will be the original entrants name. Results can be updated to reflect the actual participant's name. Please make our team aware on race day of the name change and we'll reflect the correct name in our results.